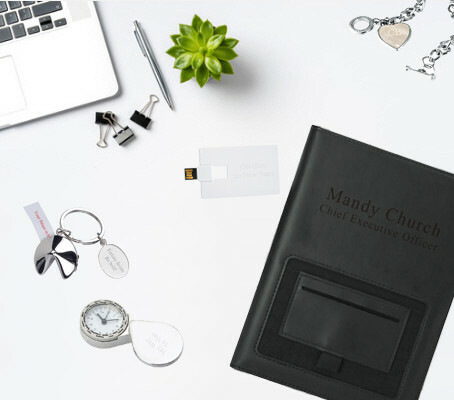 Include a short phrase, word(s), or the bride and groom's name. 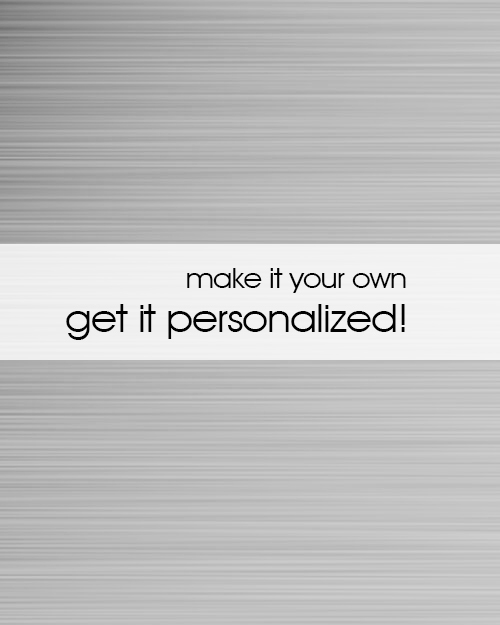 If your item allows more than 1 line of personalization, you can continue on another line to separate personalization. 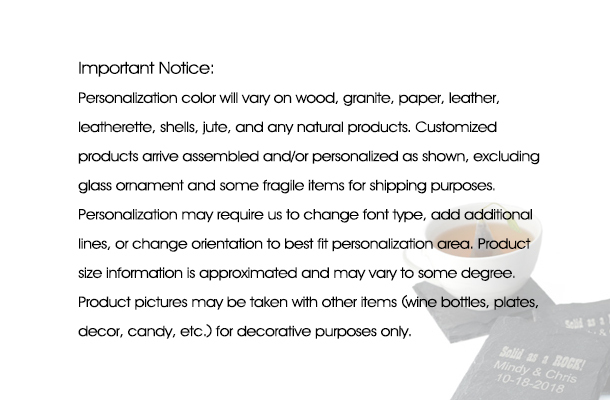 Personalization will be centered for most items and adjusted to best fit. 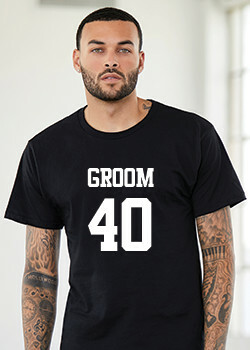 Have the bride and groom's name and event date or a short message printed on a personalized tag. 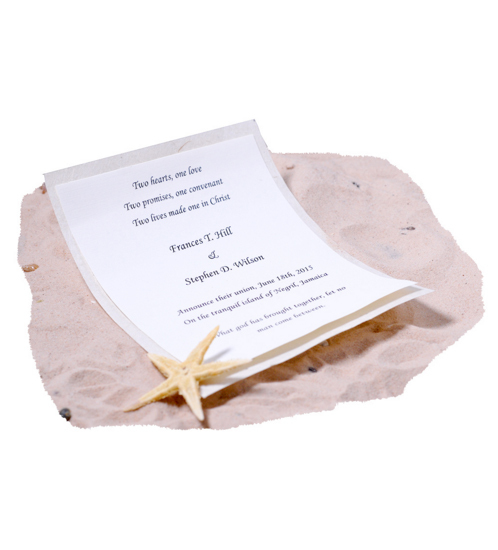 Have your custom message printed on our ivory linen paper. Paper will be attached to an eco-friendly lokta paper. This natural lokta paper features subtle fiber inclusions, adding handmade beauty to whatever you create with it. Acid free, this paper provides a wonderful "blank canvas" for art applications. Copy & Paste your message or type "will email later" in the text box if you wish to email message at a later time. You can email your message to [email protected] and reference your order #. 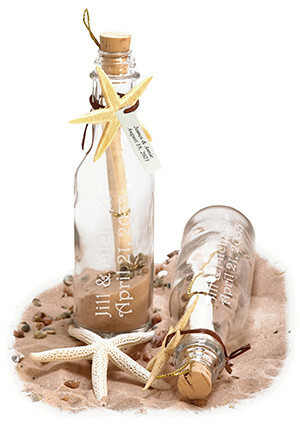 We will roll message paper and fit it into the bottle so your guest can easily pull it out with a string. Please note: The personalized requires a min. order of 12. To purchase a sample, type sample in the text box and update the required quantity in your shopping basket. 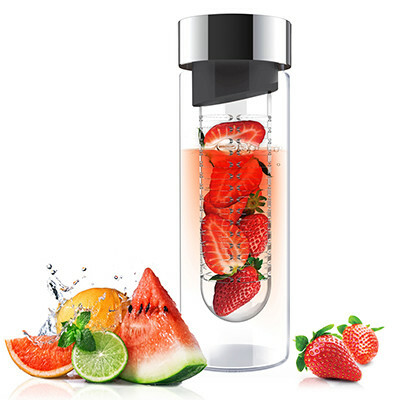 Samples will be charged at the regular price for each option. 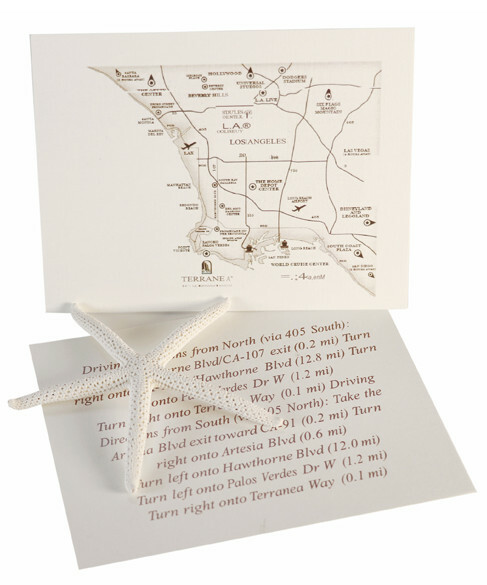 Complete your beach invitations with a stunning RSVP postcard. 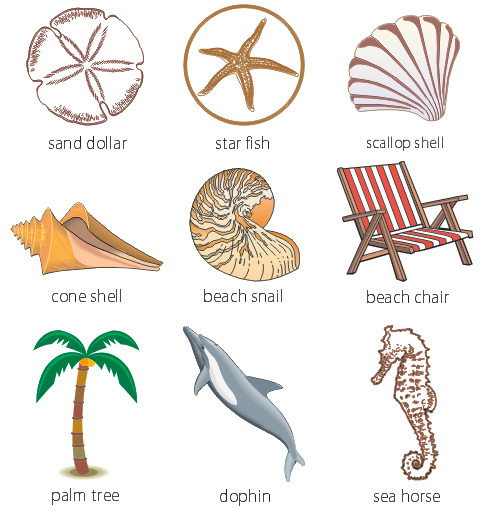 Choose from our most popular images (sand dollar, star fish, scallop shell, cone shell, etc.) for your RSVP post card. The postcard is printed on a light beige iridescent card stock paper. Just fill in your reply date and reply address in the text window and we will do the rest. Instructions: Please add a comma to separate date and return address. 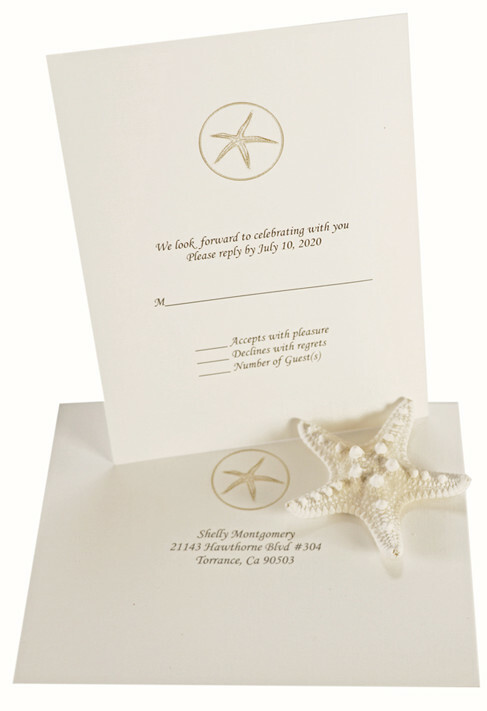 Have your RSVP printed with one of our popular beach theme images. Add a map for all your guest to easily locate your event. After you complete your order, please email [email protected] with the order number and provide us the address and directions. If you wish to add a map image, please include it with your email in high resolution. 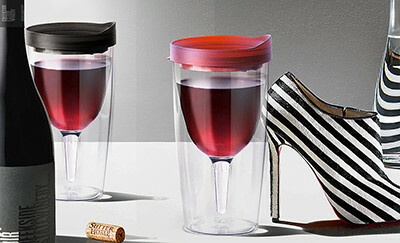 Great gifts come in great packages. 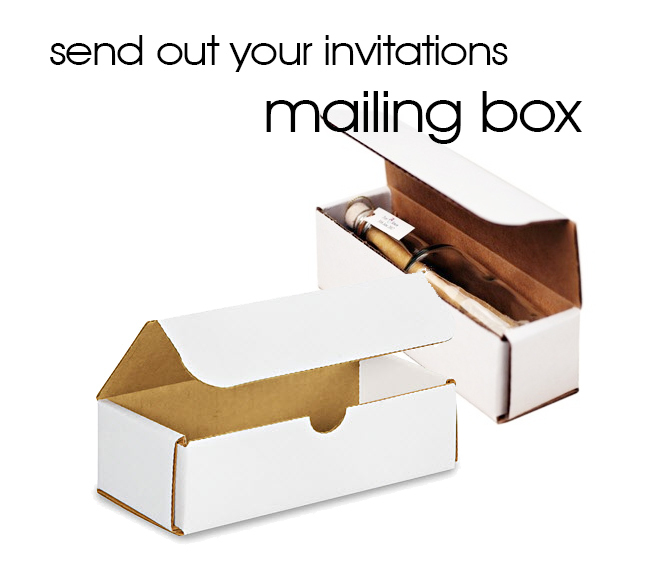 Send out your invitations in this white box to all your family and friends. Ideas that simply works. You don't have to toss this beautiful bottle in the ocean to get your message across! Our totally unique Invitation in a Bottle with Potpourri is just the thing to start your guests on the voyage of your big day. Notify them of your special day by sending one of these gorgeous bottle invitations in the mail. Each glass bottle, with your choice, contains a natural oil paper scroll that is personalized with the details of your special day. Aromatic potpourri beads cradle the scroll in fragrant folly in the form of seashells, wedding rings and silver confetti. Choose from Tie the Knot (ivory beads) or Blue tide Pools (blue beads) to complement your event's theme. The confetti comes in your choice of wedding or bridal shower form. Begin the fantasy of nautical wonderment the minute you place these invitations in the mail. Carry the theme into your wedding day as you greet your guests with our Wood Treasure Chest Favor Boxes. 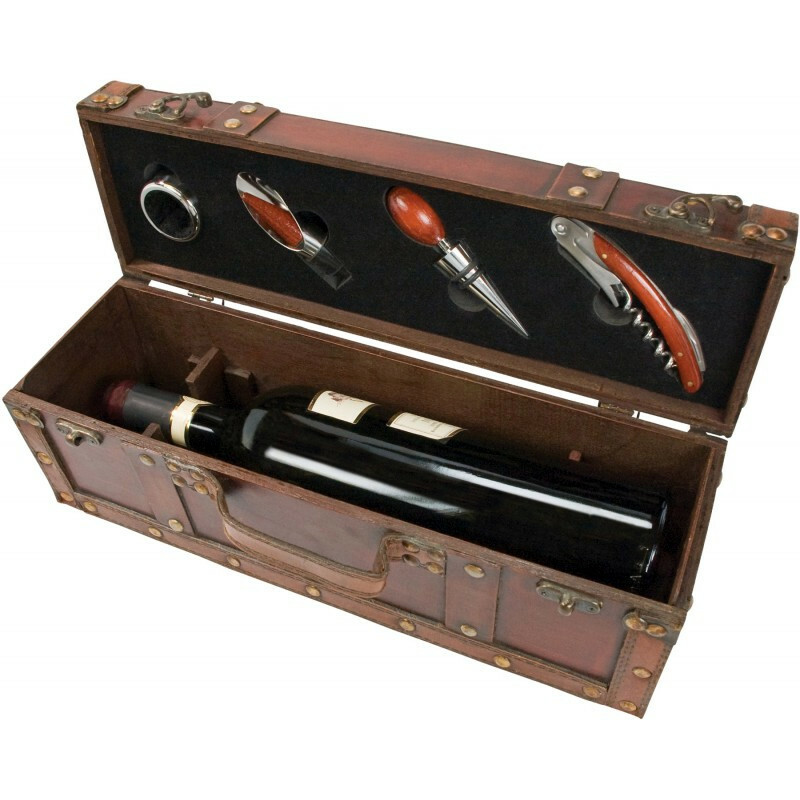 These authentic treasure boxes look stunning with the bottle invitations and are sure to be treasured as keepsakes from your special day for years to come. Give these special bottles as thank you cards to your loved ones. Consider sending them to each of your bridesmaids with some nautical bath beads. These fun and festive bottles are perfect for anniversaries as well. The wedding ring potpourri emphasizes the message of love and the scent will linger on long after the party is over. If you are mailing these bottles as an invitation, get our white corrugated mailing box and our elegant RSVP card (optional). Each bottle is firmly corked to hold in the aromatic fragrance and is adorned with a raffia ribbon.